Taxi Rental services from Gangtok to Baba Mandir. Baba Harbhajan Singh (August 30, 1946 – October 4, 1968) was an Indian army soldier who died in 1968 near the Nathu La Pass. He is revered by soldiers of the Indian army as the "Hero of Nathula" and the army men have also built a shrine in his honour. He has been accorded the status of saint by believers who refer to him as the Baba (saintly father). Many of the faithful people, chiefly Indian army personnel posted in and around the Nathula Pass and the Sino-Indian border between the state of Sikkim and Chinese occupied Tibet have come to believe his spirit protects every soldier in the inhospitable high altitude terrain of the Eastern Himalayas. As with most saints, the Baba is said to also grant favours presumably to those who revere and worship him. 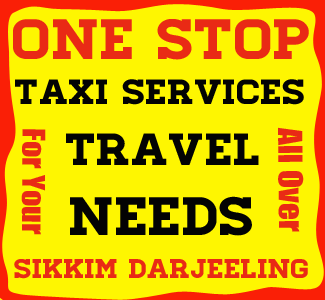 We are proven to be the best taxi service provide in Baba Mandir Sikkim. We provide taxi services from gangtok to baba mandir at cheap and best price. We also provide taxi services from Zuluk, Rongli, Aritar, Kupup to Baba Mandir at best price. Contact us for taxi tariff from gangtok to baba mandir. We also provide packege tour over Baba Mandir Sikkim. Gangtok to Baba Mandir : 56 kms. Rongli to Baba Mandir via Zuluk: 58 kms. Foreigner : Foreigners are striclty not allowed to visit Baba Mandir. Best time to visit Baba Mandir is during the months of March, April, May, June, October, Nov. However the roads are open through the years.